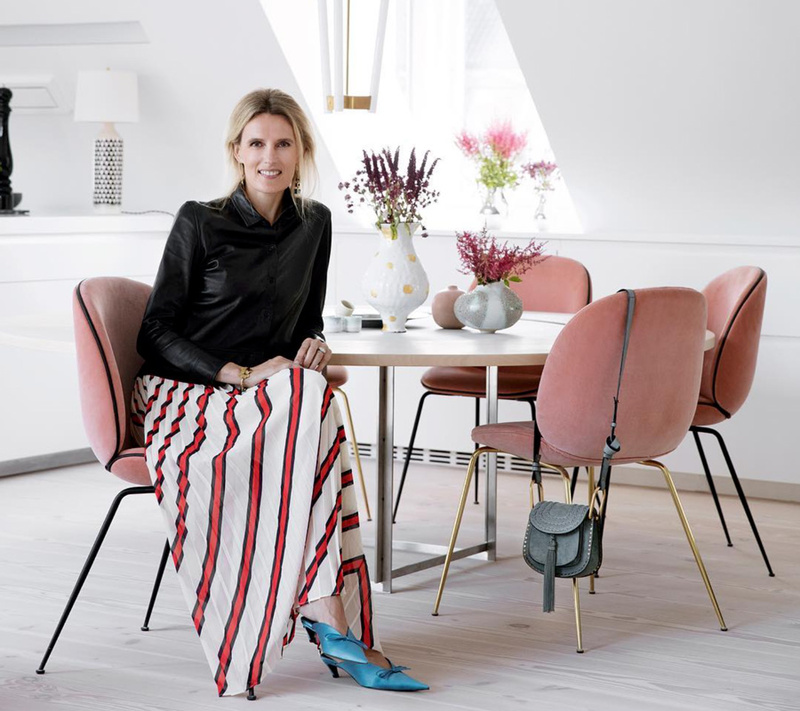 Cecilie Ingdal is the editor-in-chief of Denmark’s Elle and Elle Decoration magazines – It is fair to say she knows a thing or two about style, and her home is a stunning proof. 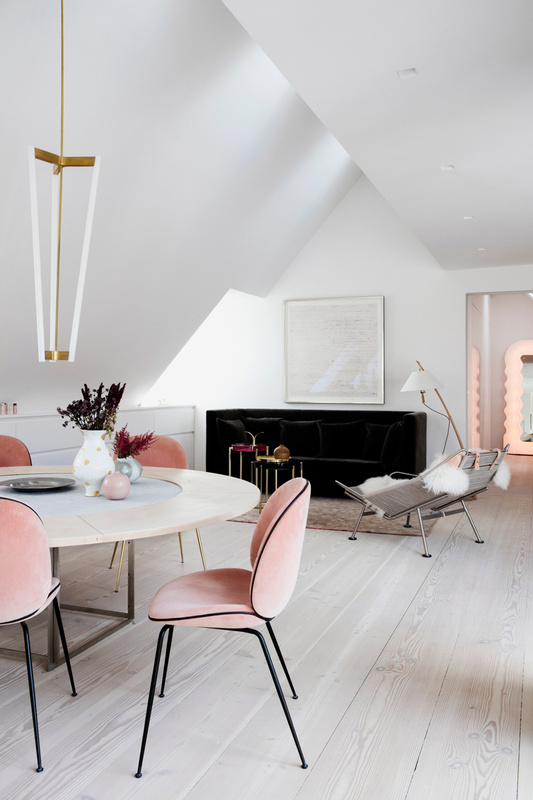 Located in a 19th-century building in the heart of Copenhagen, her apartment was beautifully renovated a few years back. 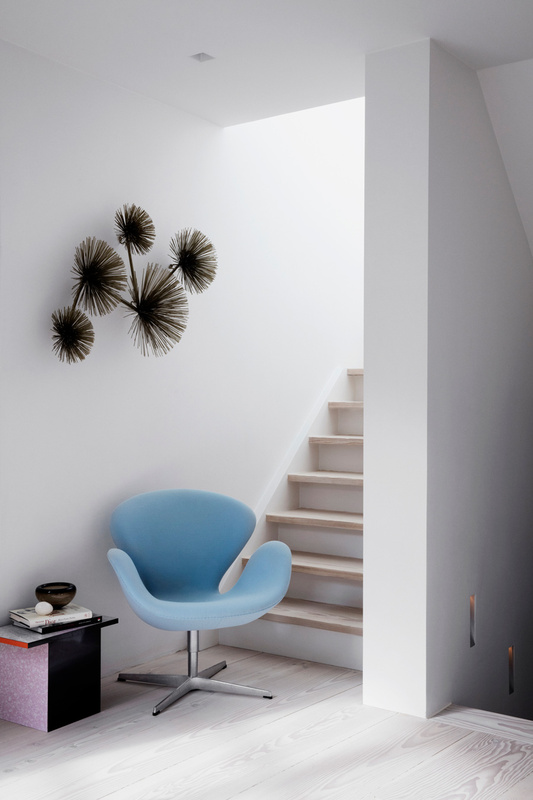 She worked together with architect Peter Wedell-Wedellsborg to make the most the space, and she created a bright and luminous abode for her family. 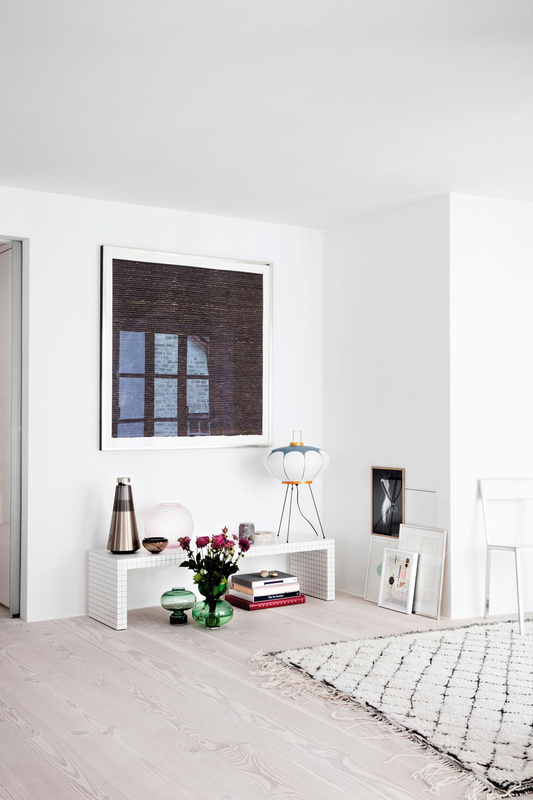 The place is painted all white, with amazing Dinesen flooring. 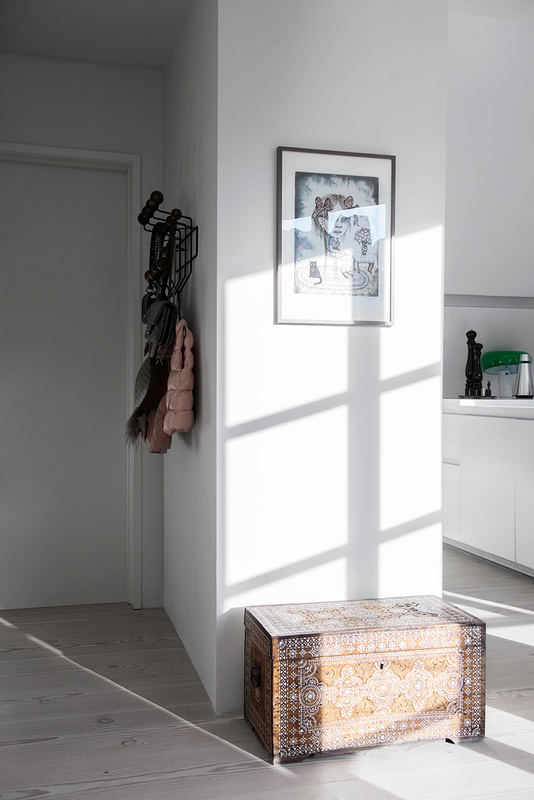 Numerous walls were removed while many windows were added, allowing the apartment to feel open and spacious. Following a modern and artistic approach to design, she succeeded to create a cosy atmosphere without sacrificing aesthetics. She chose soft colors with some more edgy touches of black and metallics. 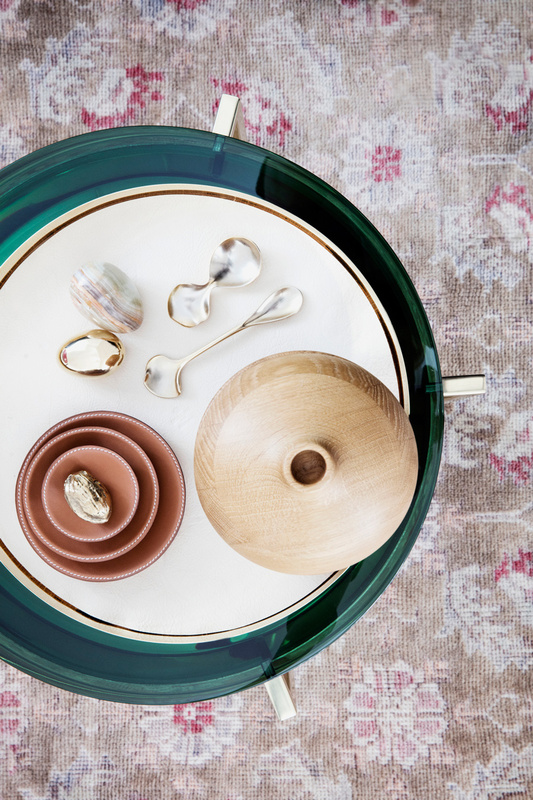 She also carefully selected pieces of furniture and home accessories that she truly loved. 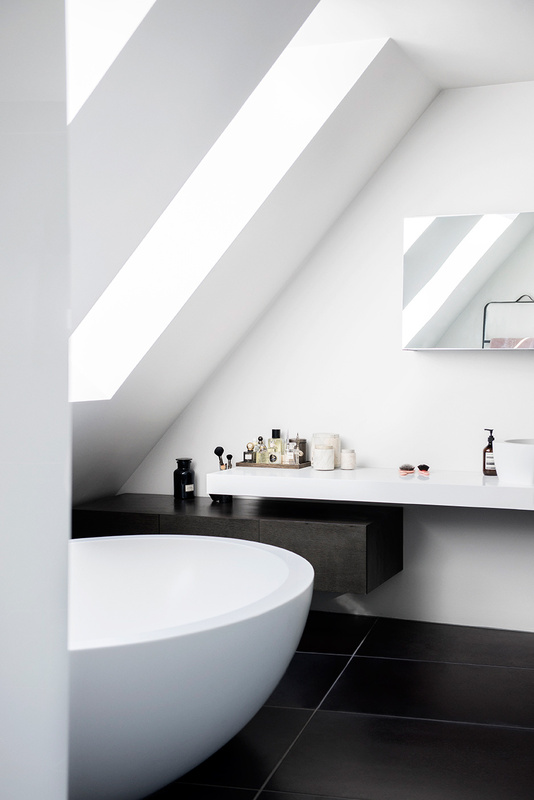 With perfect mix of new and classic, the look is curated, personal and distinctive. 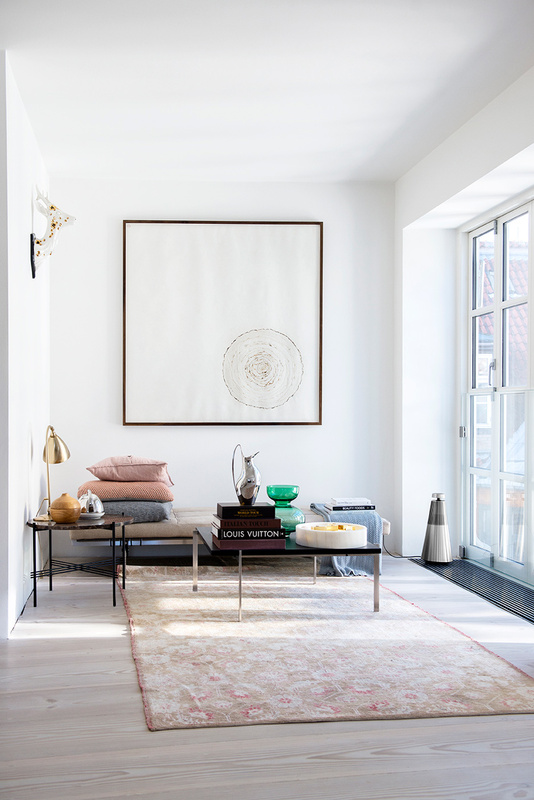 You’ll spot iconic designs with more contemporary pieces: A sofa by Ilse Crawford, an Egg chair by Arne Jacobsen, tables by Poul Kjærholm, a Tube chandelier by Michael Anastassiades, side table and lamp by Gubi, a wall sculpture by Curtis Jere, TV and sound system by Bang & Olufsen, as well as a pitcher by Georg Jensen, to name a few. 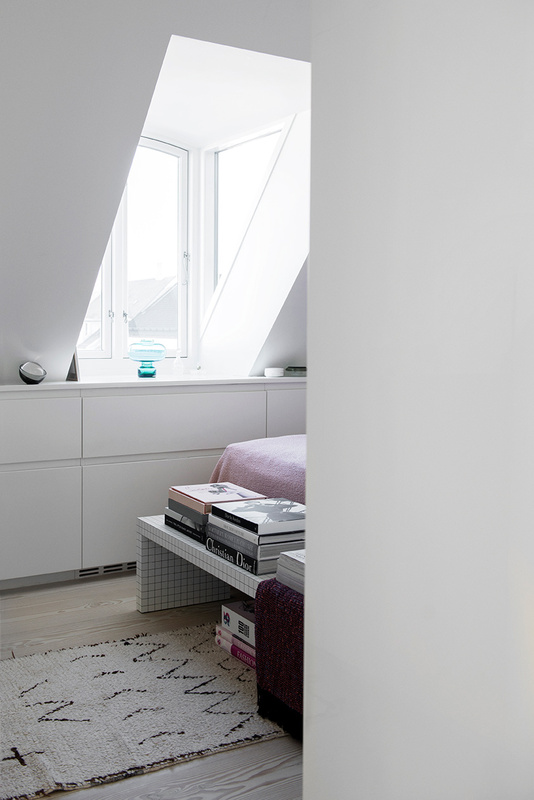 Pretty nice and spacious walk-in closet, right? I like the seamless look of those doors. Very sleek and minimal.